Perform internal audit activities in accordance with the internal audit manual branch audit check list to help provide assurance that applicable laws,regulations and organizational policies & procedures are complied with judiciously. Analyse data obtained for evidence or deficiencies in controls, extravagance, fraud or lack of compliance with laws, government regulations and management policies or procedures. Conduct operational, financial and compliance internal audits. Evaluate financial and operational procedures to assure that adequate internal controls are present. Identify, asses and evaluate the organizational risk areas, make appropriate recommendations for improvement of accounting controls and accounting procedures. Prepare Internal audit reports of findings and recommendations for management and submit to Internal Audit Manager and send to ASAI – Dhaka. To be the responsible person in arranging, managing and maintain documentation of the Internal Audit section. To be the responsible person in the integrity and efficiency of Internal Audit related matters. 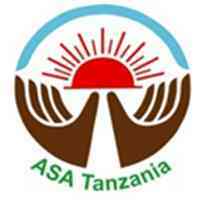 To maintain excellent communication with the Audit Manager of ASA Tanzania and Group Internal Auditor of ASA International (ASAI) Headquarters on all tasks and projects. To have regular field visit for auditing purposes at least 12 days per month and to report field activities to the Chief Executive Officer of ASA Microfinance (Tanzania) Limited and Dhaka Bangladesh. Prepare monthly consolidation report of audit department on time & send to ASAI – Dhaka. Accomplish day to day activities regularly and on time. Certified Public Accountant (CPA) is an added advantage. Minimum 2 years professional experiences as Auditor or relevant role is a MUST. In depth knowledge of corporate financial law and risk management practices. Selecting new working area for branch set up. Managing group as per company policy and making regular visit to groups. Preparing necessary report on operations and put necessary recommendation for further development. Prepare detail monthly reports highlighting the internal control strengths/weaknesses and comments/ recommendations on operational improvements. Submit the report and related work file to supervisor for reviewing. Minimum 10 years professional experiences in relevant field. Well conversant with Ms Office Package, Excel.